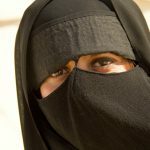 On 1 July 2016, Ticino became the first Swiss canton to ban full veils or full covering of the face in public. Since then only six transgressions have been recorded by the canton’s police. 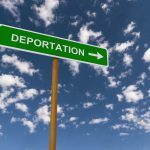 Of the six, one was issued to a Saudi national who quickly paid the CHF 100 sum, said the Luzerner Zeitung, and another, also involving a foreigner, was for incitement. The remaining four fines were issued to Swiss citizens. Of these three were issued to individuals with links to the Central Swiss Islamic Council, an organisation started in 2009. One of the women fined was Nora Illi, a former punk from Ulster in the canton of Zurich, who converted to Islam at the age of 18. She has raised many eyebrows in the media with her views on polygamy and insistence on wearing a full veil. According to the newspaper, Nora Illi deliberately broke the rules in Ticino to provoke debate. She said the law is an “insult to muslim women”. Women who are fined do not have to worry about the cost. The Algerian entrepreneur Rachid Nekkaz has created a fund to reimburse women who are fined. A group is currently working on a national referendum calling for a Swiss-wide ban on full veils, inspired by the ban in Ticino. Recently the Swiss federal government decided against a national ban. Several countries in Europe already have bans in place: France, Belgium, Holland and Bulgaria. Yesterday Austria joined the list.